These are kind words our customers left for us. If you want, you can also be a part of this page by sending us a message with a picture of you and a few words about how you love Fareeva. 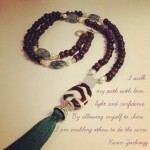 I adore Fareeva’s personalized malas! I wear them every day and my first one was a great inspiration when I created my website. Love love love! 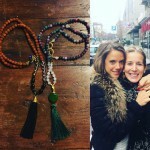 Maeva’s malas are very special, they are beautiful, full of love and care, and they come from the heart. I feel blessed to have such a unique jewel, that makes me feel connected and grounded. 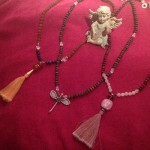 Fareeva Malas are my favourites ! their modern luxurious style complements beautifuly with my signature style and they anchor the sacred in my day, everywhere I go. 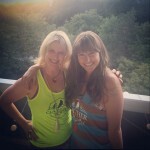 Thank you Maeva for the Soulful creations you bring to Earth ! 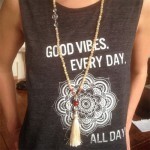 Fareeva Mandalas : d’inspirants âme-is bijoux… Comme si d’angéliques présences volaient sur mon cœur quand je les porte. Magnifiques ! Whenever I wear one of Maeva’s malas, I feel supported and guided. I use it in everyday life and also when I give a treatment or teach a class. It’s like having a little fairy around the neck.